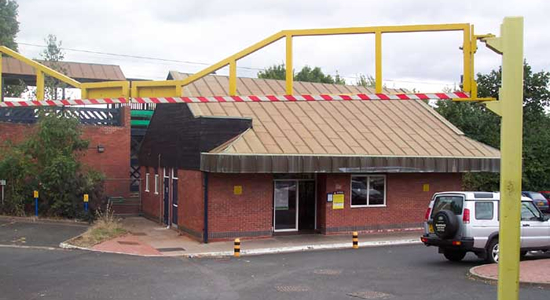 Above we see Blake Street Station 'incognito' with no visible signage as to the building's function. 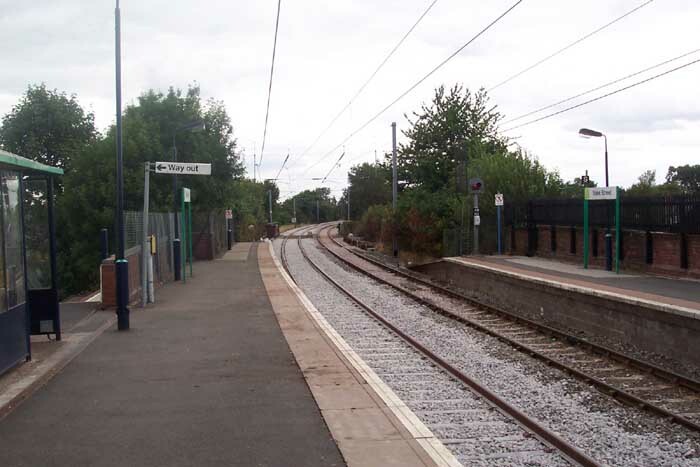 The Station opened in 1884 on what is now the cross-city line operating from Redditch to Lichfield Trent Valley and then in the hands of the LNWR (later LMS). 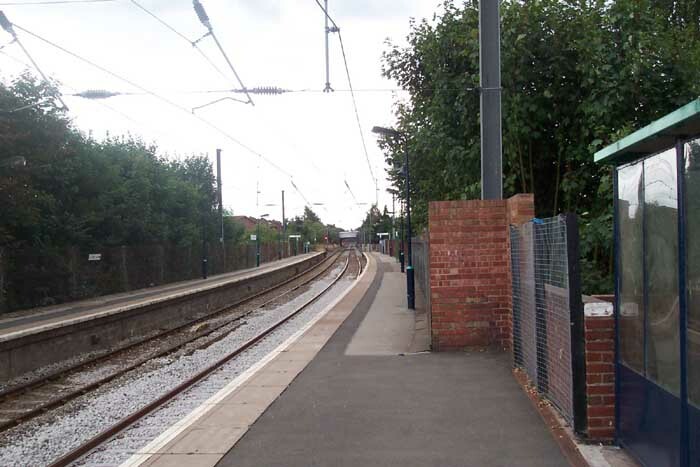 Whilst there has been a station on this site since the nineteenth century, the station building above is a creation of the late twentieth century. It appears somewhat odd that, in looking at the above building from the roadside, you would see little to indicate its function: no signage etc . . . one could posit that its external appearance has been considerably toned-down to appease the local populace as it does lie in a rather 'upmarket' residential area (contrast this building with those built in more classically 'working class' areas!). 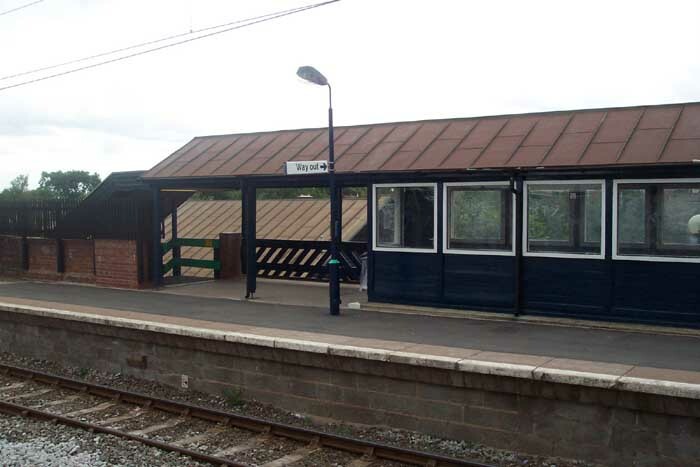 Above-left we are on the Lichfield platform watching the lines curve away towards Shenstone - note the edge of the omnipresent 'bus shelter' on the extreme left of the picture and, just discernible, a platform signal at the end of the Birmingham platform. Above-right we are in the same spot but looking towards Butlers Lane. Above-left we are looking across the track to the Birmingham platform - the waiting room to the right and to the left is the top of the stairwell leading down to the station building and tunnel. 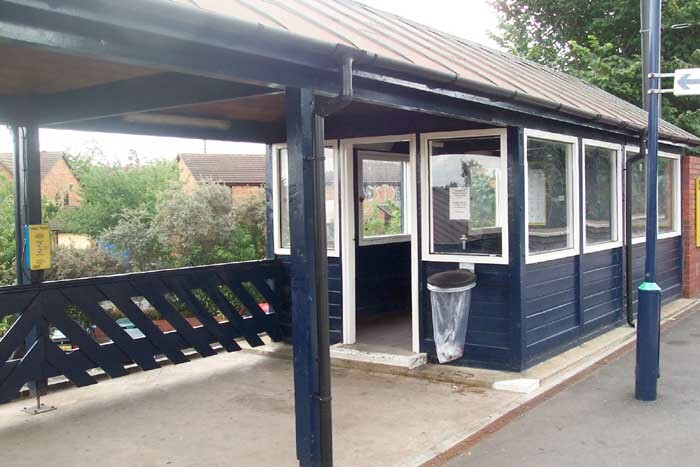 Above-right is a closer look at the Birmingham platform waiting room which does lead to the question as to why a fairly respectable waiting room is provided on this platform when, as we have seen, only a bus shelter exists for those awaiting Lichfield-bound trains.